Concert White is one of four upper level bands in the Mason High School Band Program. 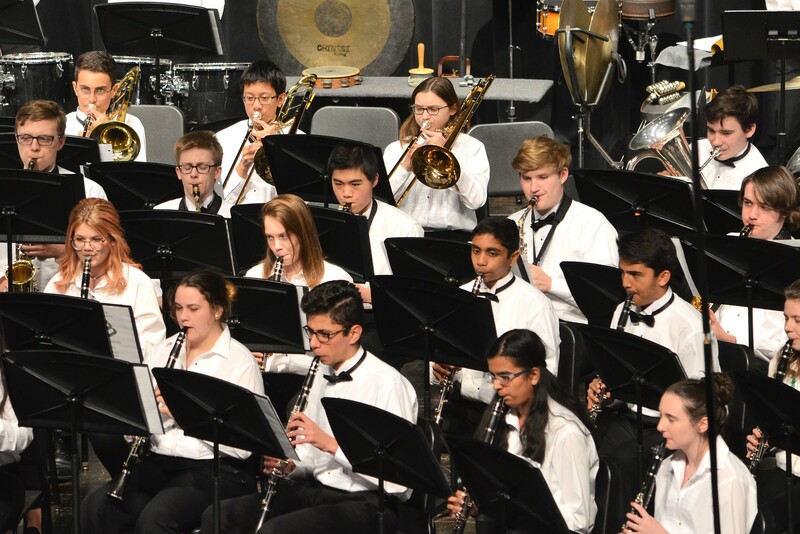 Concert White is a year round course and includes students in grades 9-12 that are selected by audition in the spring of the prior school year. Concert White focuses on refining instrument playing skills and performing quality music literature of a fairly high difficulty level. Concert White will perform three concerts during the school year and may participate in OMEA adjudicated events. It is highly recommended that all Concert White members study privately on their instrument. Participation fulfils the prerequisite for participation in extra-curricular and co-curricular events such as marching band, jazz band and winter percussion. Students are part of the basketball pep band which requires attendance at two basketball games.